Malaysian palm oil futures on Tuesday snapped four days of gains, as the market corrected lower after a rally ahead of the Lunar New Year holidays, traders said. An aquaculture project between a Chinese chemical firm and a Malaysian property cooperative is set to make Langkawi — an archipelago off the Malaysian state of Kedah — a major producer of South American white shrimp. 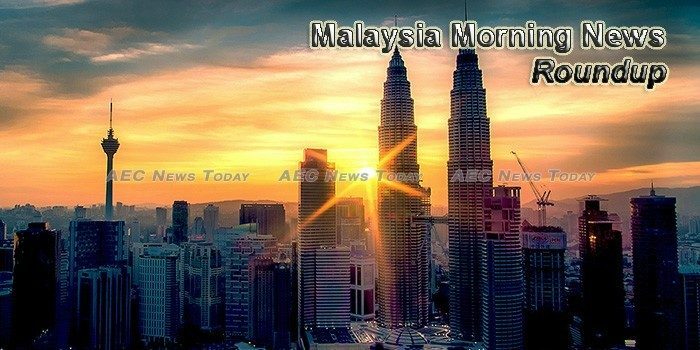 The Central Bank of Malaysia reported that the country’s GDP increased from 4.2% in 2016 to 5.9% last year. Malaysia Airports Holdings Bhd’s (MAHB) share price fell 72 sen or 7.89% to close at RM8.40, erasing RM1.19bil in market capitalisation from its Feb 12 close, as investors expect new regulations to negatively impact the airport operator financially. The life insurance industry saw insurance coverage rise 6% to RM1.38 trillion in 2017, from RM1.3 trillion a year ago, reflecting a continued rise in awareness about the importance of insurance protection. Malaysia’s overall balance of payments (BoP) in the fourth quarter of 2017 registered a deficit of RM13.1bil in the fourth quarter of 2017 compared with a surplus of RM2.9bil in the third quarter. Bank Negara Malaysia (BNM) will continue to introduce new policies to preserve macroeconomic and financial stability, as new risks from external spillovers emerge. The Association of Banks in Malaysia (ABM) says its member banks have received adequate supply of banknotes for the Chinese New Year which comprise a mixture of new and fit notes. Kumpulan Perangsang Selangor Bhd is buying CPI (Penang) Sdn Bhd for RM250 million cash, gaining entry into the electronic manufacturing services (EMS) industry. Serba Dinamik Holdings Bhd’s subsidiaries, Serba Dinamik Sdn Bhd (SDSB) and Serba Dinamik International Ltd (SDIL) have secured a total of seven contracts worth about RM830.9 million. Heineken Malaysia Bhd which has a cautiously optimistic outlook for 2018, will continue to invest in automation to improve efficiency. 2017 ended with a bang: Uber closed a major deal with Softbank. Fake news dominated social media. Bitcoin and cryptocurrencies went mainstream. Initial Coin Offerings surpassed early-stage venture capital funding for internet companies. Supermax Corp Bhd’s net profit in the second quarter (Q2) ended December 31, 2017, rose 59.06 per cent to RM35.90 million from RM22.57 million in the same period a year ago, driven by higher production capacity and improved operational efficiency. CIMB IB Research has maintained its “Add” rating on Dialog Group Bhd at RM2.66 with a higher target price of RM3.15 (from RM3.13) and said Dialog’s 1HFY6/18 core net profit of RM201m outperformed our forecast as it represented 60% of house previous full-year forecast (in line at 50% of consensus).